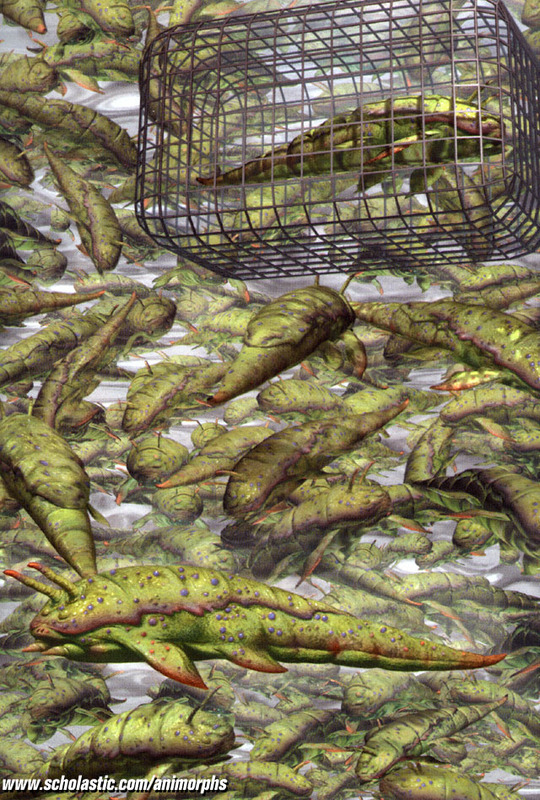 The Yeerks are filthy, parasitic slugs. They travel from planet to planet,enslaving race after race with the technology that we were kind enough to share with them. The Yeerks, at first, were condemned to their homeworld, because they had no technology, and hadn't discovered how to enslave a creature. However, a Gedd(Another race living on the planet) stuck it's head in the pool, and a Yeerk discovered what it could do. They squeeze through the ear canal, and then stretch themselves across every crevice and crack of the host's brain, giving them complete access to every part of the host body. As a host, you are powerless. Remember, the Yeerk controls your entire brain, so you can't do anything except watch as the Yeerk tricks your friends and family into joining them. You can still think and feel your emotions, even though the Yeerk can see everything that is going on. Anyway, infesting the Gedds was not really an acheivement; The Gedds were clumsy and stupid, so even today the lowest ranking Yeerks tend to receive them. An Andalite Prince named Seerow felt sorry for them, and thus gave them some Andalite Technology. The Yeerks took advantage of his kindness and started an empire, spreading like a disease. The Yeerks have taken control of(In chronological order) the Gedds, the Hork-Bajir, the Taxxons, one Andalite, the Garatrons, and they have all ready started infesting the humans. However, the Yeerks have weaknesses. First of all, every three days, they must go to a Yeerk Pool(A pool based on the ones of their homeworld) to absorb Kandrona rays. Other wise, they starve and die.Speaking of pools, the temperature of the pool must be just right or the Yeerks will die. Secondly, they can grow addicted to a human food called "Instant Ginger Oatmeal". This can be either poured into the pool or fed to the host(while the Yeerk is inside the host, of course). And, finally, one could smash the Yeerk with their hoof, similair to the way one could smash a bug. For a picture of these Yeerks, click here.